Oscar-winning star Luise Rainer, who became the first winner of consecutive awards in the 1930s, has died at the age of 104. German-born Luise Rainer was named best actress in 1936 and 1937 – a feat achieved by only five actors in Academy Awards history to date. Luise Rainer’s achievement made her a force in the golden age of Hollywood cinema, but was also a curse, making her last major film in 1943. She settled in London and made occasional appearances on film and TV. Luise Rainer appeared in small screen series The Loveboat in 1984, while her last substantial film role came in 1998, playing opposite Michael Gambon and Dominic West in The Gambler. The actress appeared in a number of German films before being talent-spotted by Hollywood studio MGM and making her debut in 1935. In 1936, Luise Rainer scooped an Academy Award for her performance in The Great Ziegfeld, playing the legendary theatrical impresario’s wife. In one famous scene, her face was tear-stained as she congratulated her former husband on his marriage to another actress. In 1937, Luise Rainer’s portrayal of a Chinese peasant in The Good Earth won her a second statuette, at a time when Oscar winners were disclosed some time before the ceremony. After clashing with MGM over a lack of artistic freedom and losing out to Ingrid Bergman in Ernest Hemingway’s For Whom The Bell Tolls, she broke her contract with them. 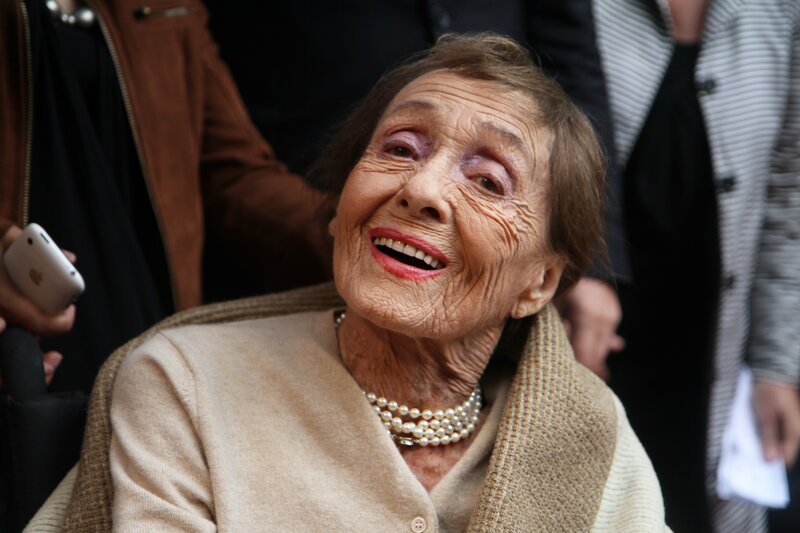 Luise Rainer was married twice, and second husband Robert Knittel died in 1989 after their marriage of 44 years. They had one daughter, Francesca Knittel-Bowyer, who said her mother had died from pneumonia at her London home.